Apple has released watchOS 4.0.1 for Apple Watch. This update is primarily aimed towards Series 3 users and fixes an issue pertaining to how LTE and WiFi networks are managed. 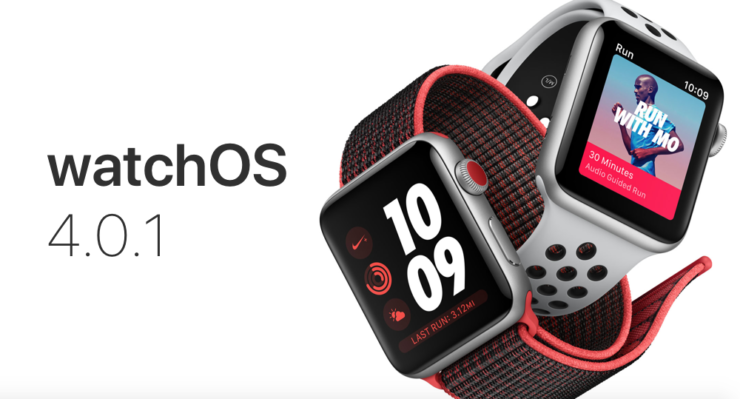 Apple has pushed out the first ever update to its watchOS 4 firmware for Apple Watch. The new firmware update addresses an issue that was plaguing some Apple Watch Series 3 users. This caused the wearable to connect to open WiFi networks whenever the user was nearby, disrupting LTE connectivity altogether in some cases. In order to download the new update, it’s a simple case of first place your Apple Watch on its magnetic chargers. Once that is done, navigate to Watch > General > Software Update on your iPhone to download the update. Just tap on Download and Install. Keep in mind though – since you are dealing with a watchOS update here, therefore it will take some time to download and install. Make sure that your iPhone and Apple Watch are connected to all times to the power outlet just to be on the safe side. If you are an Apple Watch Series 3 user, I highly recommend that you go and install the update right away. For everyone else, it’s just a usual update which you really don’t have to rush, until or unless the Apple Watch means more than anything else in your life. it’s great to see Apple finally addressing the cellular / WiFi bug that has been affecting a certain set of users. With the update downloaded and installed, you really don’t have to worry about your wearable attempting to connect to an open WiFi network (that does not work) while killing LTE connectivity altogether in the process.